I know peanut butter is like liquid gold from the heavens….. BUT I thought it was time to share this little truth nugget. I have been eating a LOT of peanut butter lately and realized I needed to cut it back a bit and start practicing what I preach. I need to eat my peanut butter in moderation. So let’s learn a bit about PB. *I have also included a DELICOUS recipe you can use during the reintroduction phase of your elimination diet to test if you have a peanut sensitivity. Peanuts are one of the most common food allergies/Sensitivities. When I did my first food diary, I wanted to have a meal that was filled with peanuts to see if it triggered any of my symptoms indicating a possible food sensitivity, so I made this Slow Cooker Chicken in Peanut Sauce. The other ingredients in this recipe are not among the top 10 most common allergies, so I thought I would be able to get a pretty clear indication if I were to experience any symptoms. We consume so many foods in a day, but having a food diary can help us keep better track of when we experience symptoms. When I ate this slow cooker meal, I found that peanuts did contribute to my bloating & gas. I also had a food sensitivity test done around the same time in which peanuts scored very high. This indicated a possible IgG food sensitivity. After completing my food diary, I did an elimination diet to get more clear on my food sensitivities and the IGg test I had done. SO peanuts were eliminated from my diet for 3 weeks. I’m happy to say I am fine eating them now in moderation! Sometimes, when we eliminate a certain food for a period of time* and work on supporting our gut health, we are able to add the food that once gave us symptoms back in to our diet! THANK GOODNESS. Because mmm peanut butter… all the heart eyes! Peanuts/peanut butter should be eaten sparingly as they can contain a carcinogen called aflatoxin that has been said to have a higher possible risk of liver cancer. Aflatoxin is is a natural toxin produced by certain strains of the mold Aspergillus flavus and A. parasiticus that grow on peanuts stored in warm, humid conditions. 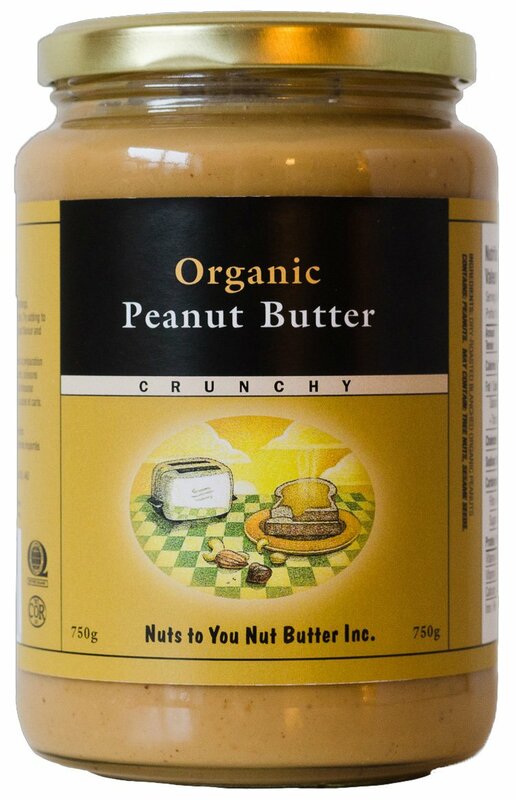 When eating peanut butter, look for brands containing only ORGANIC peanuts or peanuts and salt. The BEST option for peanuts are: Valencia peanuts & Jungle peanuts. These peanuts are typically not grown in the moisture of the ground; but typically grown in bushes off the ground or higher up. Because they are grown higher up this eliminates the issue with mold. Avoid those with hydrogenated oils, sugar and other additives - because is it really peanut butter once you add all of those ingredients? Peanuts are also high in omega-6 fats and low on omega-3 fats, which can cause an imbalanced ratio. This can create an issue because too many omega-6 fats cause inflammation whereas omega-3 fats help reduce inflammation. SO - it can be a good idea to eat peanut butter with a good source of omega 3 such as chia seeds or flaxseeds. Chlorophyll is found in dark leafy greens, such as spinach, broccoli, and kale. It has the ability to bind to potential carcinogens, interfering with how they’re absorbed within the human gastrointestinal track. This helps stop the circulation of aflatoxins throughout the body that would otherwise reach tissues more susceptible to be affected. Chlorophyll also protects healthy cells and bodily tissue by increasing enzyme activity, which could reduce the risk of aflatoxin-induced liver damage. Make sure you are getting enough omega-3 in your diet to balance the ratio of Omega-6. For snacking, I try to go for raw, unsalted cashews, almonds or walnuts (an omega-3 source). Now if I haven’t scared you….here is a delicious recipe using organic peanut butter! Do you suspect a peanut sensitivity? Are you ready to dig deep & get clear on the root cause? I would be honoured to be your support & guide in pinpointing your food sensitivities and feeling free from your unwanted symptoms. Check out my Elimination package to work 1-on-1 with me! Not sure if this program is right for you? OR want to learn more about my 1-on-1 program? Schedule a FREE 20-minute discovery call. *I like to strongly emphasize ‘eliminating for a period of time’ because unless you have an allergy/sensitivity you should not cut foods out of your diet. It is important to eat a wide variety of foods so you get the vitamins & minerals you need from each food. It is also SO important not to restrict yourself from certain foods as this can lead to disordered eating.